Beautiful! I love how soft that pattern paper is....red and green, but not so in your face! Gorgeous as always! Perfect papers to depict the decorated tree, Nina! So fun with the glittery sentiment!! love your card and what you choose from the photo ...might try this challenge ...I did try the stencil challenge and thanks for the tips on that challenge. Very soft and pretty! Beautiful colours together too! Wow...love your amazing card! Your patterned paper choice is beautiful. 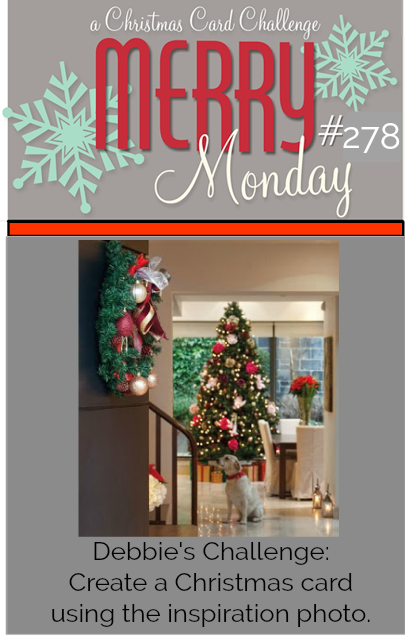 LOVE the simplicity and graphicness!!!! I LOVE the DP!!! Pretty pattern paper Nina for your lovely card. Hope you are having a great week. 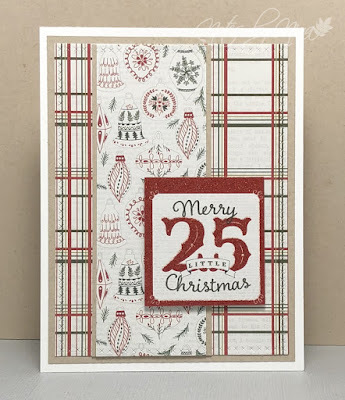 Nina, I love the patterned paper and great layout with the layers. Hope you have a great weekend. 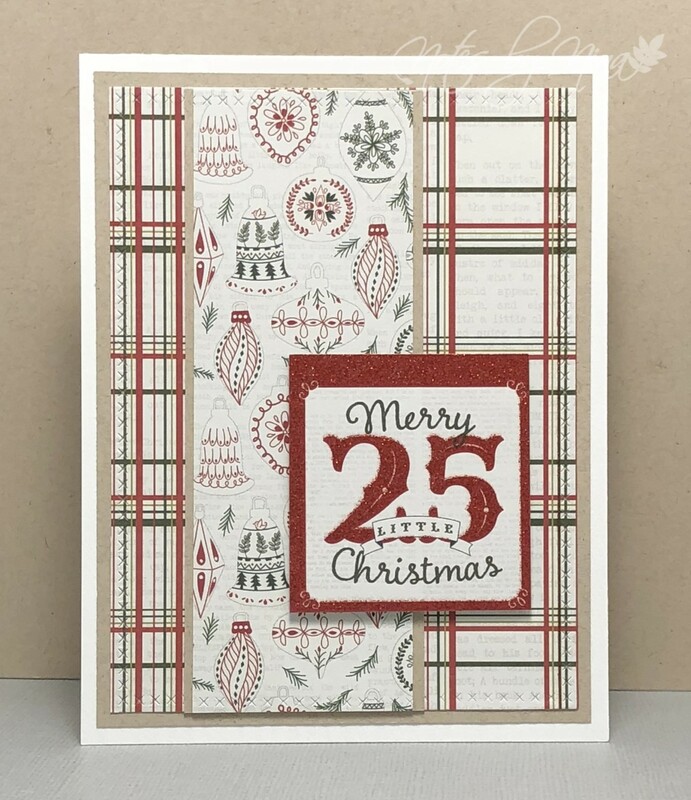 Love the pretty paper and it is perfect on your card.